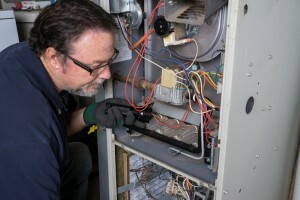 Ask around about who you should call on for furnace repairs in Horsham, PA and the answer you will hear time and time again is Fisher Mechanical Inc. We are the premier choice for heating contractor services and have been since first starting the business in 1960. We take this line of work seriously which means we focus on delivering topnotch workmanship as well as customer service. The important thing is to make it a point to get service when you realize it, in a prompt and professional manner. What's Wrong With Your Furnace? Failing to get proper maintenance can lead to serious repair needs for your furnace, repairs that could have otherwise been avoided. Make it a point to change the filter each month, especially during times of peak use. A dirty filter can restrict and eventually completely block the airflow, causing your system not to work properly. The thermostat is the brain of your heating system, so when it stops working properly, so does your furnace. If you know or even suspect that you need service for your furnace, contact us today!